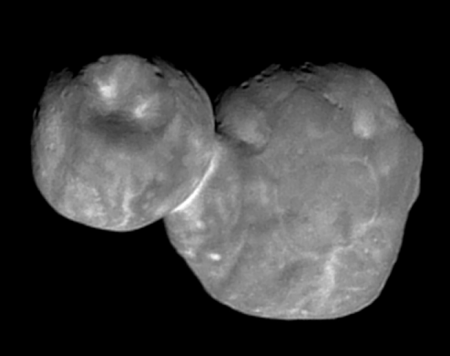 The New Horizons science team has released the last sequence of images taken by the spacecraft as flew away after its flyby. The link has a nice video of that sequence. However, it is the information gleaned from this sequence that is most interesting. 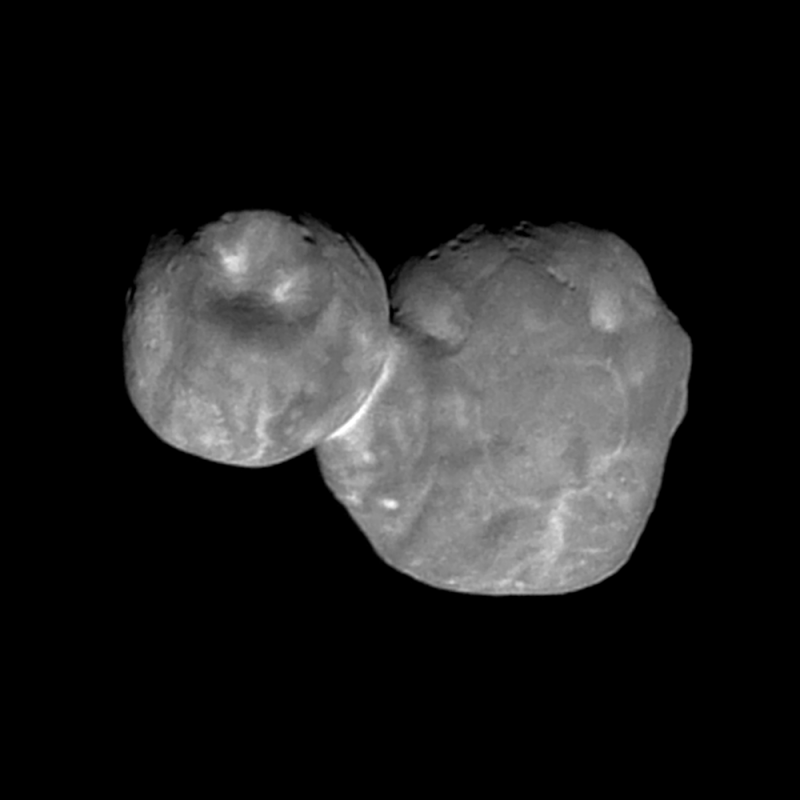 The image on the right shows their preliminary guess at Ultima Thule’s overall shape, as suggested by these new images. 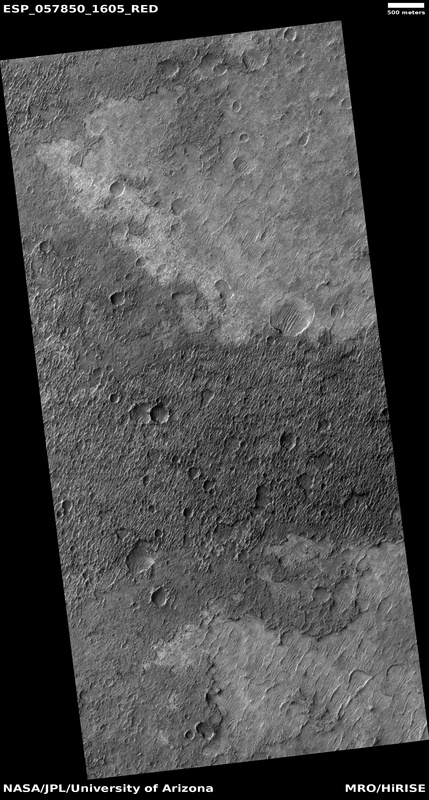 The spacecraft has still not sent back the images it took during its closest approach, so there are likely more surprises coming. The Zwicky Transient Facility (ZTF), a new sky survey telescope whose main goal is to find Near Earth asteroids, has discovered a rare asteroid orbiting near Venus. …The orbit, as it turns out, is angled vertically, taking 2019 AQ3 above and below the plane where the planets run their laps around the sun. 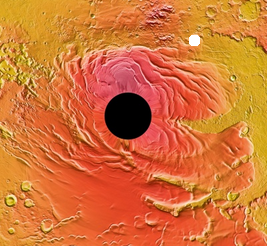 Over its short year, 2019 AQ3 plunges inside of Mercury, then swings back up just outside of Venus’ orbit. 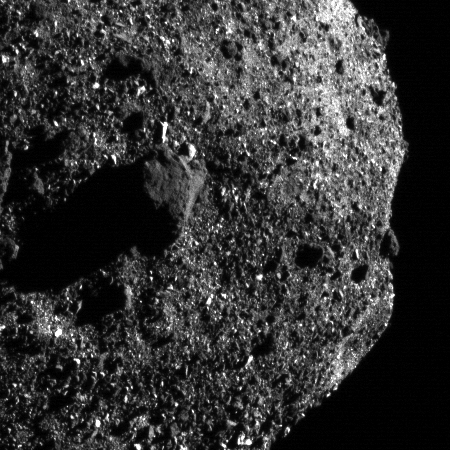 nearly 60 new near-Earth asteroids. 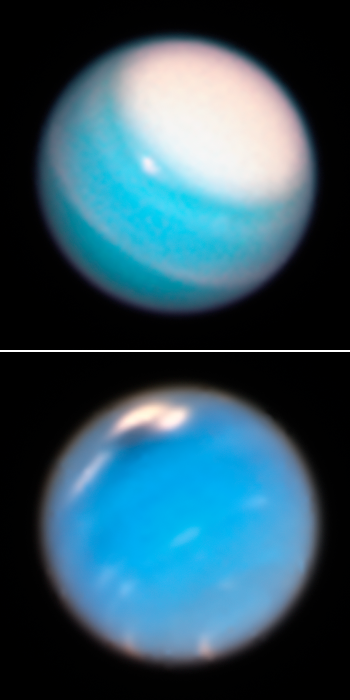 Two of these were spotted in July 2018 mere hours before they gave Earth quite a close shave. Designated 2018 NW and 2018 NX, the duo of bus-sized asteroids whipped past at a distance of about 70,000 miles, or only a third of the way to the moon. Fortunately, the newfound 2019 AQ3 poses no threat; the closest it ever comes to Earth is about 22 million miles. Cool image time! 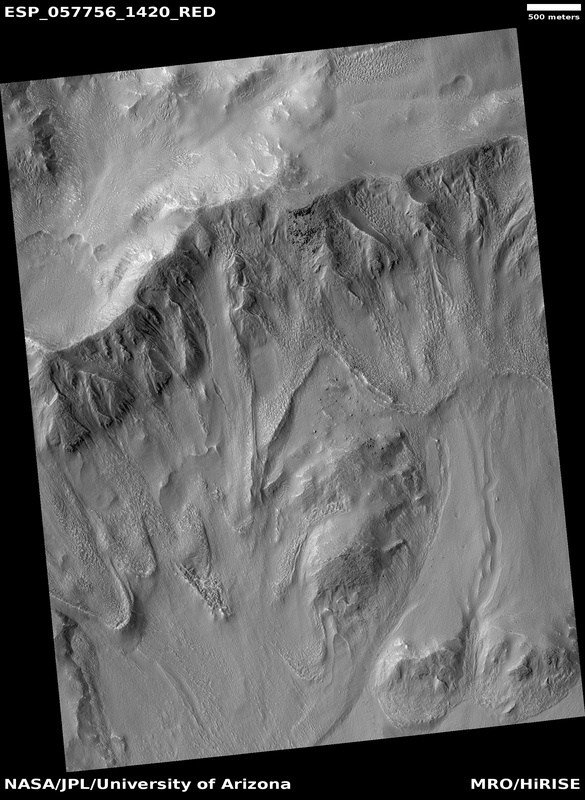 The two images on the right, cropped, rotated, and reduced in resolution to post here, were both taken by the high resolution camera on Mars Reconnaissance Orbiter (MRO). 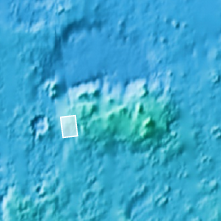 To see the full resolution version of each, go to the 2009 and 2018 releases. 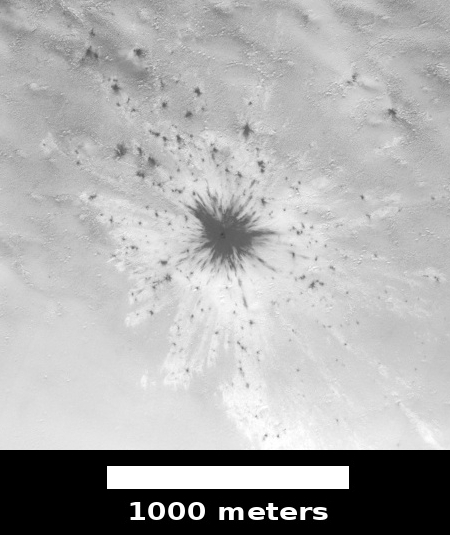 The 2009 release was a captioned release, whereby scientist Alfred McEwen of the science team provided his explanation of these strange features. 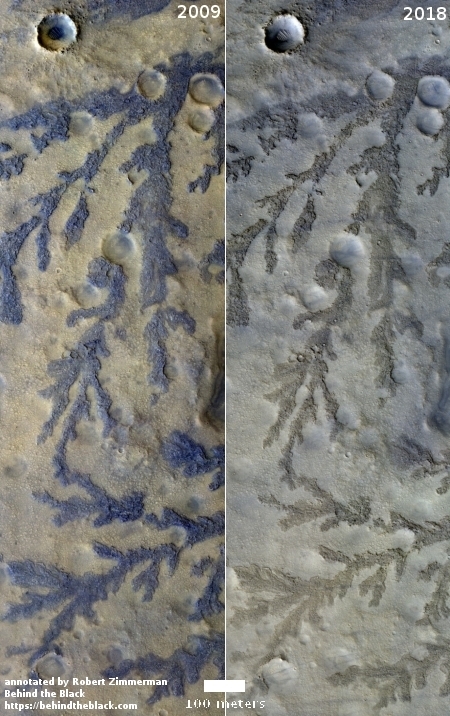 These strange fernlike features do not appear to be very common on Mars. 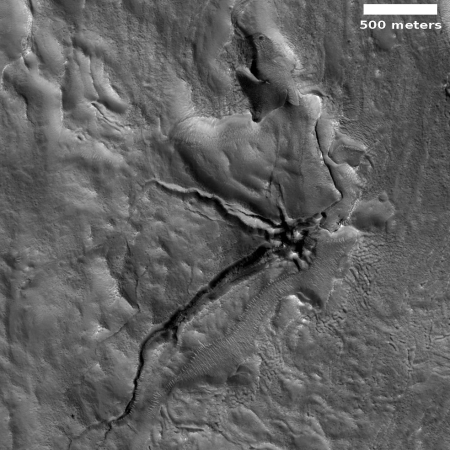 In fact, I suspect that while Mars does have many inverted channels like this, the fernlike nature of these particular channels is unique on Mars. 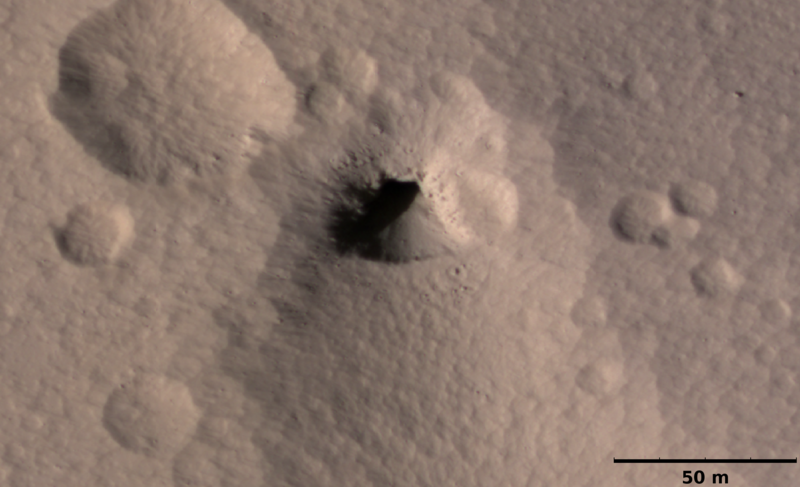 They are located on the floor of Antoniadi Crater, a large 240-mile-wide very ancient and eroded crater located in the Martian southern highlands but near the edge down to the northern lowlands. In seeing the new 2018 image, I was immediately compelled to place it side by side with 2009 image to see if anything had changed in the ensuring near-decade. 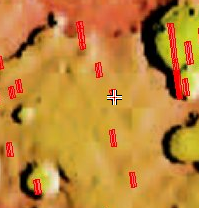 There are color differences, but I suspect these are mostly caused by different lighting conditions or post-processing differences. 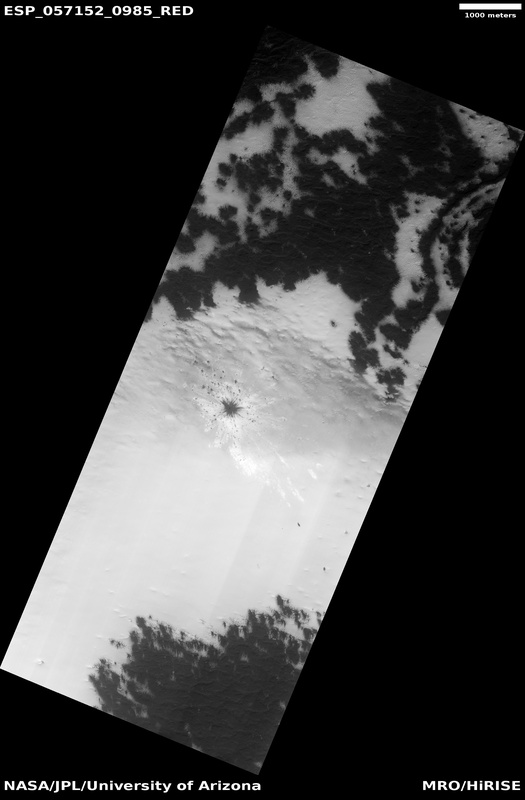 Still, the dark center to the crater in the upper left of both images suggests a change in the dust dunes there, with the possibility that some of the dust has been blown from the crater over time. 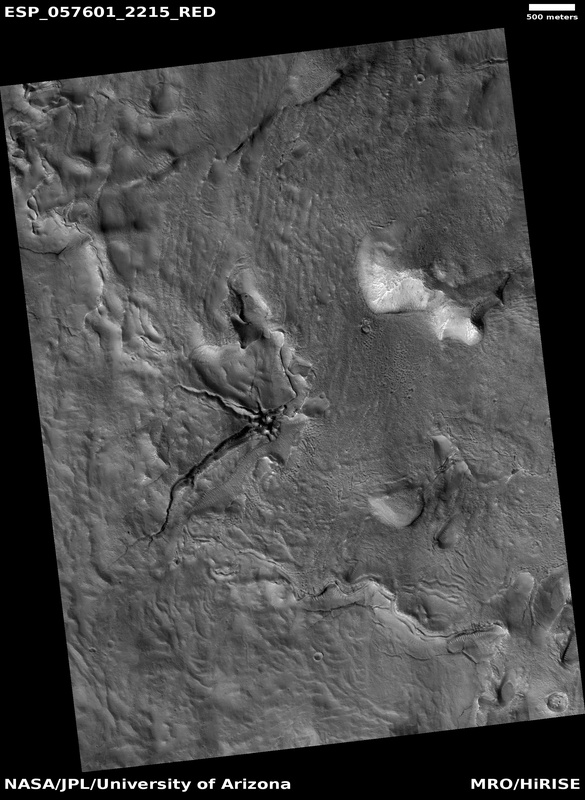 Also, you can see two horizontal tracks cutting across the center of the 2018 image, which I would guess are dust devil tracks, with one more pronounced. 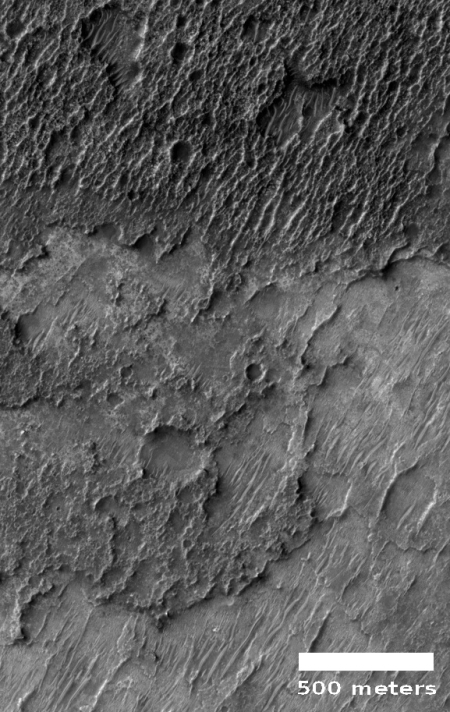 I can imagine some planetary geologists have spent the last few months, since the second image was taken, pouring over both photographs, and have might even located other interesting changes. 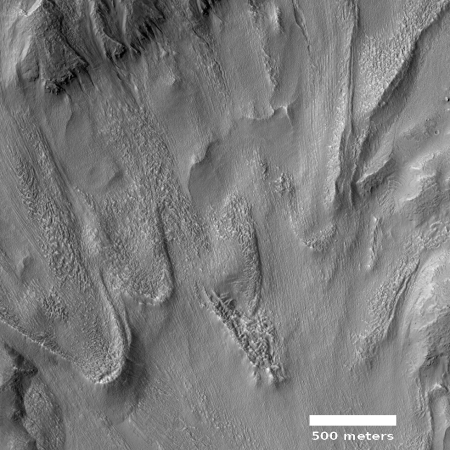 And if they find no significant changes, that in itself is revealing, as it gives us a sense of the pace at which the Martian surfaces evolves. 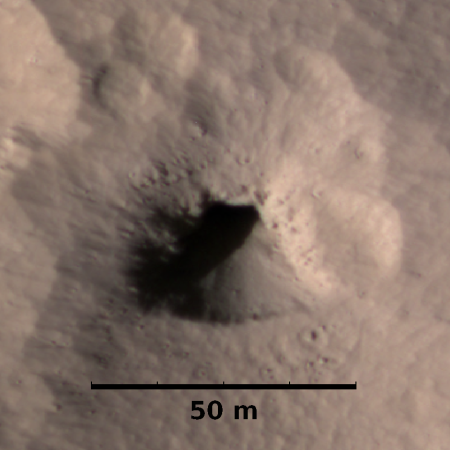 The InSight science team has completed the deployment of the spacecraft’s seismometer by the placement of its protective domed shield over it. The shield also helps protect the instrument from temperature changes. With this deployment completed they will next deploy the heat flow package to the surface, where it will begin to drill its probe sixteen feet into the ground. A Chinese invasion? A Chinese radio antenna in Argentina, initially proposed as a communications facility for use with China’s space program, operates without any supervision by the Argentinian government and appears to have military links. 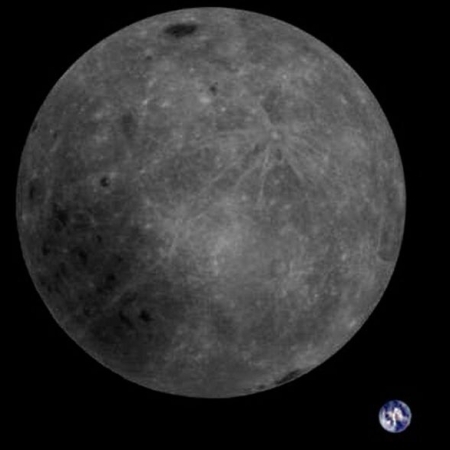 It was installed to support China’s effort to send spacecraft to the Moon and Mars, and that is likely its main purpose. China does not wish to be dependent on the U.S.’s Deep Space Network for such interplanetary communications. This facility helps make that independence possible. At the same time, the fact that China has been allowed to establish a remote facility in another country and operate it with no oversight is definitely an issue of concern. Essentially, China has obtained control over a piece of Argentinian territory, and unless the Argentine government takes action, China can do whatever it wants there. While the antenna itself might not be an issue, the facility itself is. The Parker Solar Probe has completed its first full orbit of the Sun and has begun full science operations. They have been somewhat tight-lipped about any results from the data already obtained. I suspect it has not yet been analyzed fully, and the scientists are reserving comment until they complete their first science papers and get them published. 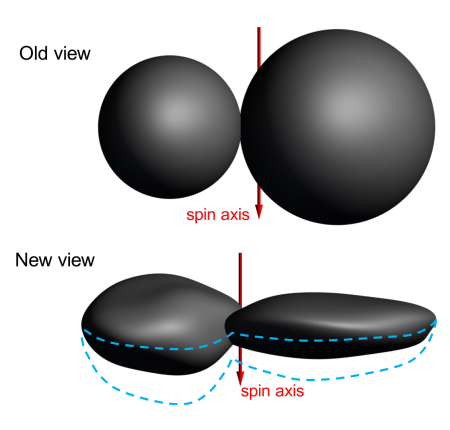 The uncertainty of science: New computer models now suggest that the orbits of the known Kuiper Belt objects can be explained without the need for the theorized large Planet X. The weirdly clustered orbits of some far-flung bodies in our solar system can be explained without invoking a big, undiscovered “Planet Nine,” a new study suggests. “If you remove Planet Nine from the model, and instead allow for lots of small objects scattered across a wide area, collective attractions between those objects could just as easily account for the eccentric orbits we see in some TNOs,” study lead author Antranik Sefilian, a doctoral student in the Department of Applied Mathematics and Theoretical Physics at Cambridge University in England, said in a statement. When you think about it, having many many scattered small objects in the Kuiper Belt makes much more sense than a few giant planets. Out there, it would be difficult for large objects to coalesce from the solar system’s initial accretion disk. The density of material would be too low. However, you might get a lot of small objects from that disk, which once formed would be too far apart to accrete into larger planets. The use of the term “Planet Nine” by these scientists however is somewhat annoying, and that has less to do with Pluto and more to do with the general understanding of what it means to be a planet that has been evolving in the past two decades. There are clearly more than eight planets known in the solar system now. The large moons of the gas giants as well as the larger dwarf planets, such as Ceres, have been shown to have all the complex features of planets. 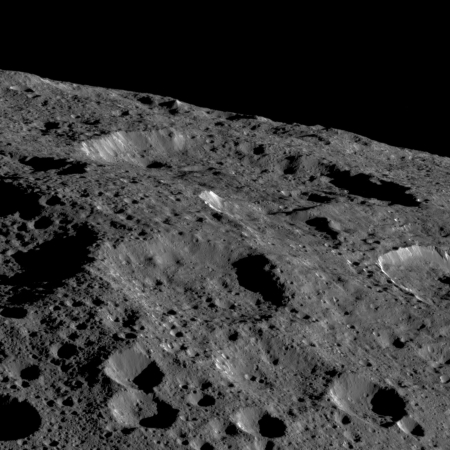 And fundamentally, they are large enough to be spheres, not misshaped asteroids.